March is nutrition month! Time to get back to the basics of eating and leave processed foods behind (I promise you, you will feel so much better for it). This month, we want to help you go green! From kale to matcha and easy to make green recipes – the more alkaline we can make you, the better you will look and feel. I am also very excited to make my Metabolism Boosting Supplement available for all. We have had great results with this supplement at Shulman Weight Loss clinics and along with our programs, the metabolism booster has helped so many burn belly fat, lose inches and break a plateau. The metabolism booster is individually packed and contains EGCG from green tea, conjugated linoleic acid and chromium. To learn more or to order, click here. Our team loves to hear your success stories and comments. If you would like to reach us, simply e-mail drjoey@drjoey.com and we will get back to you. And... save the date! On April 11th, I will be speaking at the Richmond Hill Country Club on "The secrets to weight loss". Seating is limited - more details to follow... but be sure to put it on your calendar for 7pm! Did you miss Dr. Joey on Cityline reviewing which supplements work for weight loss? If so, click here to view. Metabolism booster is here and ready for order! Remember, if you order 2 or more on any products on the www.drjoey.com website –delivery is FREE! Have you tried Dr. Joey's dark chocolatey Skinnychews yet? If not – you will love them for 3pm cravings or nighttime eating. Gluten free, less than 20 calories per chew and 4 grams of pre-biotic inulin fiber per serving – you can finally eat chocolate... with benefits. I recently came across this website and was fascinated by its unique concept. Tea Sparrow offers a monthly subscription to a wide variety of loose leaf teas, which are delivered right to your front door. For those of you who love teas but have exhausted all of your "bagged" options, this is a great website to explore. Tea Sparrow offers teas from all around the world, and display the contents of the monthly tea box on their website for you to see. A month's subscription makes the perfect gift for a friend and is also a great way to treat yourself! The benefits of coconut water are getting a lot of recent press and make this product nutrition month worthy. The pure blend offered by Vita Coco is an excellent way to stay hydrated throughout the day and during or after a workout. It's high potassium, and electrolyte content keeps your body well balanced and keeps you feeling good. When picking a coconut water, avoid the fruit flavoured versions as they are often higher in sugars. My advice? Stick to the 100% pure by Vita coco. This powdered organic match offered by David's Tea is an excellent source of antioxidants - in fact one cup of this tea is equivalent to 10 cups of green tea in terms of antioxidant content. Its strong taste and pleasant aroma makes this tea an excellent way to wake up in the morning and is also great for after-meal cravings. For best results, whisk a teaspoon of this matcha powder in with almost-boiled water and allow to cool slightly. These natural, pre moistened facial towelettes give your skin a refreshing, clean feel, while effectively removing dirt, oil and makeup. The white tea and cucumber extracts found in these facial cloths leave your skin feeling tingly and clean. My friends at Genuine Health are all about being alkaline and healthy! 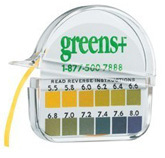 Using their pH paper and testing saliva or urine, you can determine your pH level. To learn more about alkaline balance and why it is important to your health, please click here. SUPERFOOD OF THE MONTH... KALE! Did you know kale has more iron than red meat? The nutritional benefits of kale has long been recognized. Chalked with numerous vitamins and minerals, such as iron, calcium, vitamin A, vitamin C, potassium, and vitamin K, this vegetable is the perfect way to increase and enhance your nutritional status in a tasty way. At 36 calories, 5 grams of fiber, and 0 grams of fat per cup, be adventurous and explore new ways to incorporate kale into you and your family's diet. I admit – I have a kale chip problem (I literally can eat an entire head of kale!). Move over chips – this nutrient dense, calorie light option is a much healthier way to go! Remove the stems and cut the kale leaves into 1 inch pieces. In a bowl, combine olive oil, salt and kale and mix thoroughly. Place parchment paper on baking sheet and lay out kale chips. Bake for about 10-15 minutes, until kale is lightly brown. This smoothie is a delicious way to get some beneficial and cleansing nutrients in the morning or throughout the day. Perfect for weight loss, low calorie and... good for digestion, I highly recommend it. *Tip – you can make this smoothie at night and refrigerate for the next morning. Core the pear and apple and cut into chucks. Remove stems from the vegetables. Put all ingredients in the blender and blend until smooth. Add more water if needed. Combine vinegar, oil, salt, maple syrup and pepper. Add kale, toss well. Let stand 10 minutes. Add apple, celery, onion, cheese, walnuts and toss. Are you looking for a little more passion and joy in your life? If so – this book is for you! In his latest book Elevate, author Randy Taylor provides you with simple yet effective steps to pinpoint what you want. Whether it is boosting your income, finding love or simply letting go of anger and fear to become the best you possible – Elevate will take you there. "I am looking and feeling so much better and am getting a lot of compliments, which is always nice to hear. Exercise classes are much easier now and I am able to work at a higher intensity and faster pace." Congratulations to Dani, and all of our clients who are having such great success! If you want to jumpstart your spring weight loss, book in for a FREE weight loss assessment with Dr. Joey now! Simply e-mail inquiries@shulmanweightloss.com or call 905.889.5326. Don't forget – our London location is now open on Saturdays! !